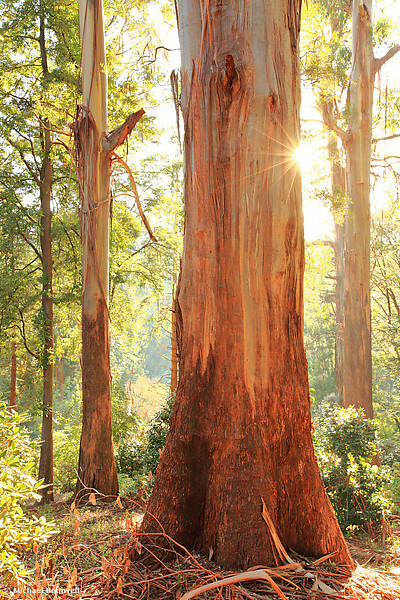 I found this Australian gum tree, ablaze here in the golden light of dawn, deep in the Dandenongs National Park. Residing not far east of Melbourne the park covers some 3215 hectares of picturesque forest, whose moods are many depending on the variable weather. Lyrebirds and other fauna abound, even close to the numerous walking tracks giving the frequent visitors much joy. 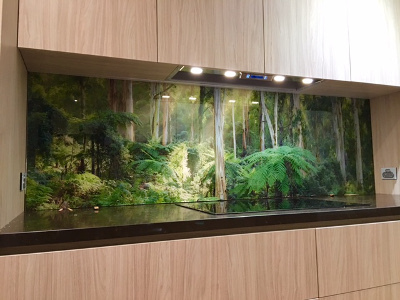 There are also several open gardens and of course, a plethora of little eateries and shops in places like Fern Tree Gully, Olinda, and Mt Dandenong.